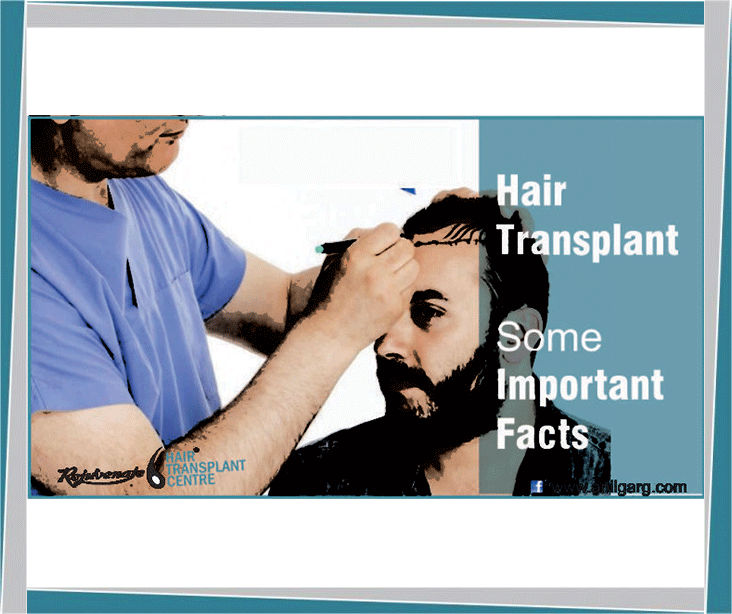 Have Reasonable Expectations – remember that donor’s hair is limited, so unlimited hair transplant is not possible. Discuss your option with your hair transplant surgeon to understand what can be achieved and what cannot be achieved. Understand that most patients need combination approaches; drugs, hair transplantation. Remember hair loss is a continuous process whereas Hair transplantation is a one-day event. Hair transplant corrects the baldness which has happened-it can’t prevent hair loss in future. Drugs are useful therefore to prevent future hair loss. However, none of the drugs is a cure for baldness. Do not be excessively worried about side effects by reading individual opinions- the drugs available have been in use for decades. Discuss with your doctor about these side effects. Read authoritative websites such as ishrs.org or FDA IN USA or ahrsindia.org. Do not resort to unsubstantiated treatments without seeking proof; eg. Apple stem cells, mesotherapy with injections. Remember; if hairs could be grown easily, there would be no bald men in the world. Don’t be too confused about FUT and FUE- after all these are only methods for donor hair harvesting; REMEMBER-you is doing HT to get results in front or the bald area. What is important is to first determine which method gives you best results to cover the front area. Discuss the option with the doctor and with his assessment opt for the best method, suited to you. Take care of grafts properly after the HT. adhere to the instructions. Do not be too anxious about the growth of hairs after HT-the hairs take time for growth- doesn’t assess it by days or weeks. Be patient. Any issues or side effects, consult your doctor. Do not jump to conclusions. Remember – most hair transplants are without side effects-even if they occur they are minor. Always have a plan for future. Hair loss is not to be treated in one session or one visit. It needs planning, understanding, and execution.